When providing a piping extension to an existing gas line; for example to add a line for a gas range when an electric range has been used previously, the total BTUs to be supplied to all appliances must be calculated. 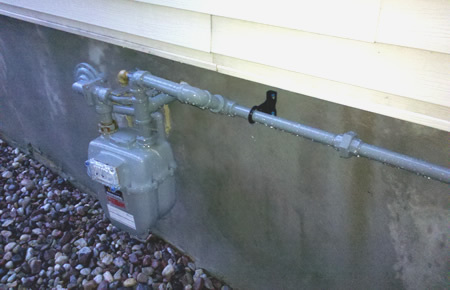 The gas line must be of sufficient size to supply the projected BTUs for all of the home appliances. In some cases the existing piping has to be upsized in order to supply the additional demand for gas. 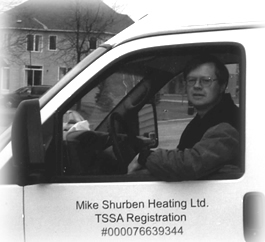 This often involves changing the gas line from the gas meter to the furnace, or in some cases, running a second line in from the gas meter. 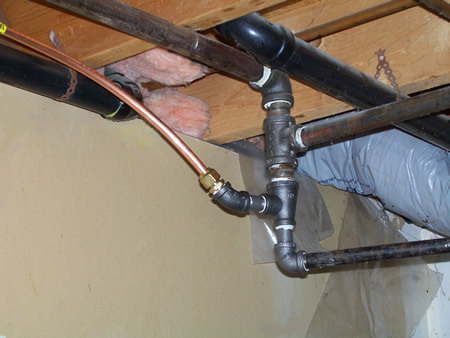 The majority of gas piping add-ons to residential homes are performed with soft drawn copper tubing. This material allows for long runs of contiguous piping while minimizing the number of fittings and joints in the piping system. This piping looks like copper water piping, which must not be used for gas installations, and it is marked with yellow banding to differentiate it from the water pipes. Most gas piping runs are terminated in rigid steel pipe providing a mechanically rigid termination. Gas piping cannot be run like electrical wiring as even the soft drawn copper has a limited amount of bend capability. 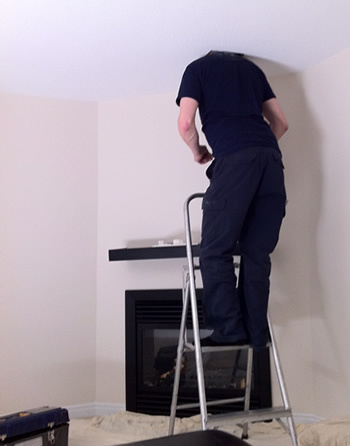 Basements that have unfinished ceilings (or removable drop ceilings) can be piped with iron or copper. When finished ceilings are encountered, a product called Corrugated Stainless Steel Tubing (CSST) is often the required material used as it will pass through the finished ceiling. This material is flexible enough to go around obstacles in the finished ceiling space. I look headless in this picture as I work inside a finished ceiling through a small access panel. All black iron piping used outdoors must be painted gray for residential and yellow for commercial. The home owner owns all piping after the gas meter and is responsible for keeping it painted by using a rust paint that is a dark gray colour.